Having just recently addressed obesity, I thought it might be useful to present avenues through which one can stop uncontrolled weight gain and for those who need it to lose weight. In this review I shall address the weight loss smoothie diet plan that so many are utilizing and to see how well it might work. One of the favorite techniques of trying to win the battle against weight gain today is the smoothie. I assume that most of us know what a smoothie is. Generally speaking it is the gathering together of all your ingredients and then mixing them all together in a blender. The blend is balanced so that the resulting concoction is semi-liquid and can be consumed as a drink. Since the ingredients are made up of vegetables, fruits, nuts and cereals as well as liquids of varying kinds, the blender must be of decent quality to be able to blend them well. The particular diet that we are addressing is titled as our heading says, “The Smoothie Diet”. Drew Sgoutas is a certified health coach and nutrition expert. He claims that this plan was developed over several years and incorporates things that he has learned in working with individuals that he has worked with on an individual basis. He has refined and defined the process and the ingredients so that it will produce a similar results in most cases. 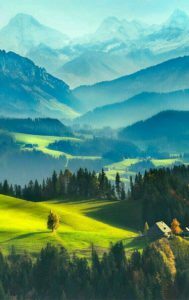 Of course, everyone is an individual, and just in case you do not get the results you expected, there is a money back guarantee. What you are getting is knowledge. Upon joining The Smoothie Diet you will be granted access to all the material in a PDF download. In addition you will also receive a three-week guide book, direct personal access to Drew Sgoutas, 40 recipe cards(which you can print), shopping lists, outlined schedule, a journal to follow your progress, a healthy eating guide, a list of short workouts you can conveniently do at home, a list of Gluten Free Recipes, and a Smoothies for Kids ebook. The main book you will use most will be the Healthy Eating Guide. In this ebook Drew covers subjects ranging from the root causes of weight gain to the three-week plan of the Smoothie Diet to motivational tips and best smoothie recipes. Since the main thrust is to achieve the weight loss in three weeks, some have wondered what to do if you need to lose more weight. 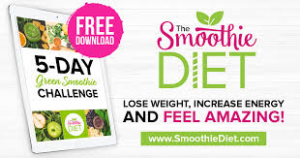 Of course one should not build a lifestyle around a diet of smoothies only, but the three-week diet can be repeated to attain the desired weight goal. There is then presented an approach of mixing the smoothies with a regular healthy intake of vegetables and low fat foods to maintain the desired body weight. There are included testimonials given my clients of The Smoothie Diet which come across as convincing. There are no outlandish claims made as to extreme weight loss, but are substantive and well within weight loss that would not be unhealthy. The users of the diet speak well of it. I tried to find some reviews that might give a negative slant, but I was not able to find any. That does not mean they do not exist, but they are not prevalent. In looking over several programs under the heading of weight loss smoothie diet I found little or no negative input. What are the good points of The Smoothie Diet? It is a complete diet plan which is easy to follow and maintain. The only drawback I see is that it is a downloadable product and not a physical book. Overall it seems to be a very good product. If you are struggling with a weight problem and need a little extra help to reach your goals, The Smoothie Diet may be just what you are looking for. With a money back guarantee it should at least be worth a trial.